To top it all off, we bring a fast, personal touch to our diverse set of services that our competitors simply can’t match. 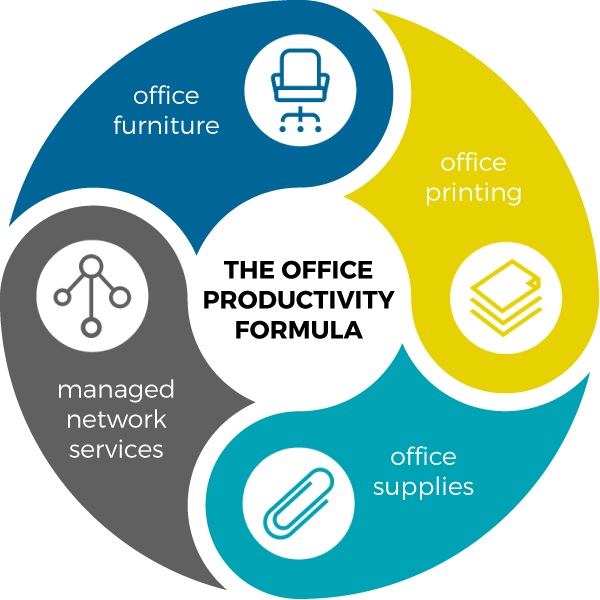 We can deliver products even after business hours and don’t allow downtime to hurt your company. This is how we’ve been able to keep clients satisfied and coming back for more than 60 years. In other words, keeping you in business keeps us in business. Our superior printing equipment and Managed Print Services will give you the documents you need. ABM will help you improve your IT network. We stock a wide variety of furniture for different types of workplaces. Need printer cartridges, paper, cleaning supplies or more? ABM has it all!